Janice Lee is the author of KEROTAKIS (Dog Horn Press, 2010), Daughter (Jaded Ibis, 2011), Damnation (Penny-Ante Editions, 2013), Reconsolidation (Penny-Ante Editions, 2015), and The Sky Isn’t Blue (Civil Coping Mechanisms, 2016). She writes about the filmic long take, slowness, interspecies communication, the apocalypse, and asks the question, how do we hold space open while maintaining intimacy? She is Founder & Executive Editor of Entropy, Co-Publisher at Civil Coping Mechanisms, Contributing Editor at Fanzine, and Co-Founder of The Accomplices LLC. After living for over 30 years in California, she recently moved from Los Angeles to Portland, Oregon where she is an Assistant Professor of Fiction at Portland State University. Janice Lee is a Korean-American writer, artist, editor/publisher, designer, and scholar. Interested especially in the relationships between metaphors of consciousness, theoretical neuroscience, and experimental narrative, her creative work draws upon a wide variety of sources. Her obsessive research patterns lead her to making connections between the realms of technology, consciousness studies, the paranormal & occult, biological anthropology, psychology, & literary theory. She writes about the filmic long take, slowness, interspecies communication, plants & personhood, the apocalypse, architectural spaces, inherited trauma, and the concept of han in Korean culture, and asks the question, how do we hold space open while maintaining intimacy? She is the author of KEROTAKIS (Dog Horn Press, 2010), a multidisciplinary exploration of cyborgs, brains, and the stakes of consciousness, Daughter (Jaded Ibis, 2011), an experimental novel, Damnation (Penny-Ante Editions, 2013), a book-length meditation and ekphrasis on the films of Hungarian director Béla Tarr, Reconsolidation (Penny-Ante Editions, 2015), a lyrical essay reflecting on the death of Lee’s mother, and most recently, The Sky Isn’t Blue (Civil Coping Mechanisms, 2016), a collection of travel essays inspired by Gaston Bachelard’s The Poetics of Space. She also has several chapbooks Red Trees, Fried Chicken Dinner (Insert Blanc Press), The Other Worlds (eohippus labs), and The Transparent As Witness (Solar Luxuriance), a collaboration with Will Alexander. She edited the pamphlet Inherited Trauma for the eohippus labs annex series. She is currently working on several collaborations including a critical book on Béla Tarr’s 7-hour film Satantango with Jared Woodland. She has presented scholarly papers on topics such as consciousness studies, psychology, theoretical neuroscience, hybrid poetics, experimental narrative, collaboration, publishing, interactive literature, and interspecies communication at various conferences internationally. She was selected by John D’Agata as Black Warrior Review‘s 2011 Nonfiction Grand Prize Winner. 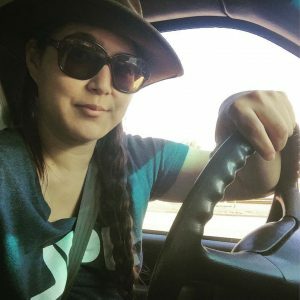 She holds a BA in Literature/Writing (with minors in Biological Anthropology & Film Studies) from UCSD and an MFA in Creative Writing/Critical Studies from CalArts. She is currently Co-Publisher at Civil Coping Mechanisms, Contributing Editor at Fanzine, Founder and Executive Editor of Entropy, Contributor at HTMLGIANT, and Co-Founder of The Accomplices LLC. In the recent past, she helped develop a new program called Codetalk (a program that teaches web development to low-income women housed at St. Joseph Center and funded by Snapchat), with Maggie Nelson launched SUBLEVEL (a new online literary magazine based in the CalArts MFA Writing Program), and was CEO/Founder of POTG Design (a web design & development company that specialized in web design for creative individuals and organizations). She has also recently taught at CalArts, UC San Diego, and Pitzer College. She is part of the Anisfield-Wolf Fellowship Advisory Board and Les Figues Press Editorial Board. After living for over 30 years in California, she recently moved from Los Angeles to Portland, Oregon where she is an Assistant Professor of Fiction at Portland State University.